Take your oil paints outside and learn how to paint en plein air. This half-day class, held at William O’Brien State Park, will provide a hands-on introduction to outdoor painting. Nature is complex and light is fleeting. This class will help you gain a little control. You’ll learn to articulate why a scene is begging you to paint it. Then you’ll learn and practice a few skills and approaches that will help you organize the painting to capture the essence of the idea, balancing speed and accuracy. This class teaches skills that make outdoor painting fun and manageable. Participants shouldn’t expect to walk away with a finished painting. But you might! Painters of all levels are welcome. 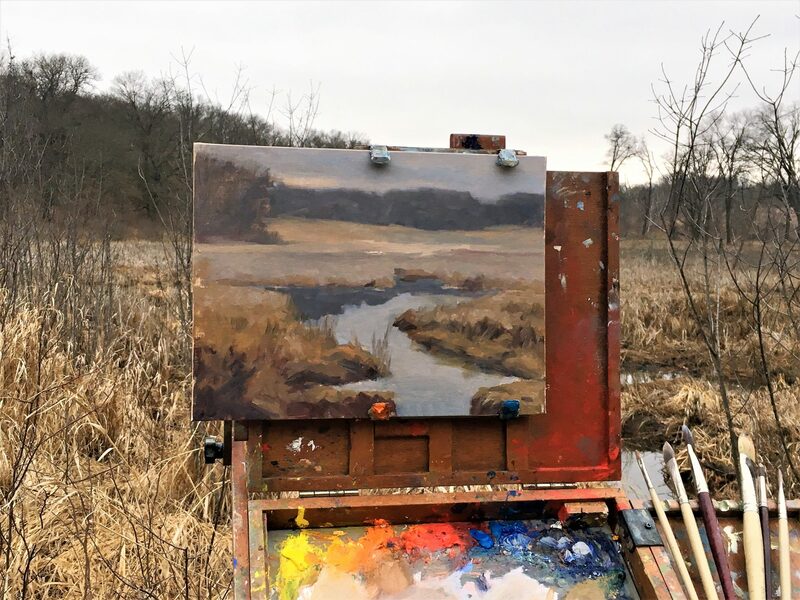 The information will be simplified for beginners, but artists with more experience will find the class a fun way to dust off the winter cobwebs, get outside to paint in a great setting, meet other painters and learn something new. We’ll meet inside the Visitor’s Center to talk about the various motivations for painting on location outdoors, even if you’re primarily a studio painter. Then we’ll head outside to paint! Location: Meet inside the Visitor Center at William O’Brien State Park. Class will be held rain or shine. (We’ll find a sheltered area to paint if the weather is bad.) Drivers will need to have a State Park pass or day pass to park.